With a blizzard raging outside, what better way to spend an evening than working on bikes? The Co-Habitant agreed to help with my Gazelle (and by "help" I mean "do most of the work"), in exchange for which I prepared lavish portions of a dish that is sort of a cross between French Toast and a Croque Monsieur - only larger, fluffier, more generous on the cheese, and with some secret herbs that make it special. He likes my cooking, I like his mechanics: win-win! Though I bought new tires for my Gazelle months ago, we had been procrastinating with their installation, as it required dealing with the formidable chaincase. Removing it seemed complicated. And who knew what was under there after all these years? 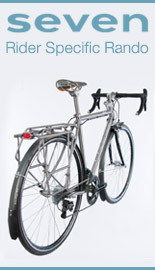 The Gazelle's chaincase is a vinyl casing that is stretched over a metal support structure. It is clipped and fastened at several attachment points - including an amazing system of clasps along the bottom, the likes of which we have never seen before. 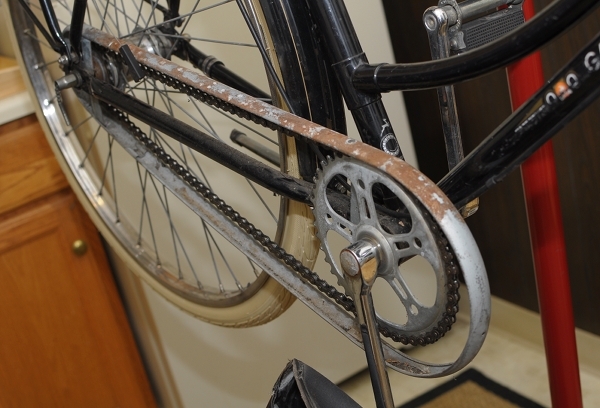 I am not certain how closely the current-production Gazelle chaincase resembles the one on my 15-year-old A-Touren model, but mine was not exactly easy to remove and install - not a project for beginners at least. Once removed, this is what was inside. 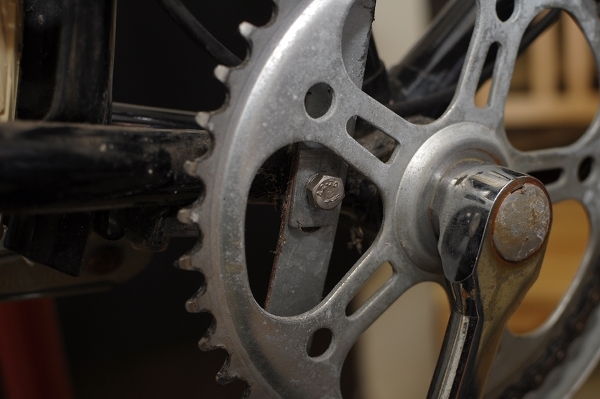 It's entirely possible that the drivetrain has not been worked on since the bicycle was first purchased by the original owner. The metal structure supporting the vinyl casing was covered in surface rust, as were parts of the chain itself. But otherwise, there were no apparent problems. These bicycles were built to be used and abused for years without any need for maintenance. We were disappointed to see that the chainring did not have little gazelles carved into it like the older ones did. But I suppose that would be too much to expect from a '90s model. The metal chaincase support structure disassembles into several parts - allowing the rear portion to be removed without taking the whole thing apart. The main chaincase attachment bolt is on the chainstay - a more secure method than attaching chaincases or chainguards to the bottom bracket. Another point of attachment rests on the rear axle. While more difficult to tinker with, the benefit of the vinyl chaincase design, is that it is less likely to rub or knock against the chain. It also weighs less than plastic or metal chaincases - though somehow I doubt that was a concern for the makers of Gazelle. The Co-Habitant was thoroughly impressed by the design of the Gazelle A-Touren's rear triangle, and believes it to be a better (more integrated) system than that of the vintage Raleigh DL-1 or of the modern Pashley. Everything on the Gazelle fits together just so, as if the parts were all custom-made for each other. And once the chainguard is off, the fork ends are cut in such a way, so as to facilitate wheel removal. The 28" wheels with the stainless steel rims weigh a ton. 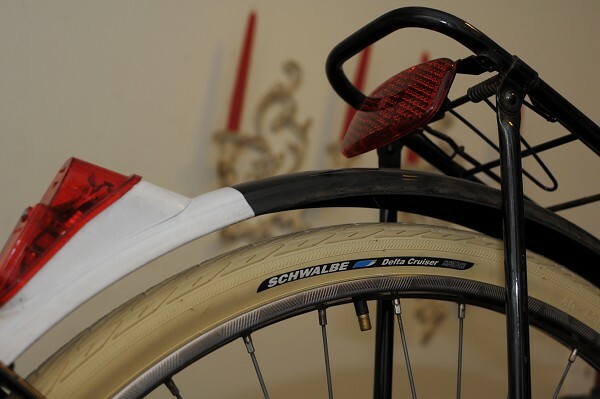 The routing of the tail light is entirely internal: The wiring comes out of the chainstay right next to the fork-end, and snakes along the inside of the rear fender invisibly. These are the kinds of design elements that make this bicycle a fully integrated system - almost an organism - that experiences very few problems. There are fewer things to shake loose, break, or fall out of adjustment, which is what makes it so low maintenance. I know that some enthusiasts would have next taken the whole bike apart, scrubbed off the rust, polished the frame and components, and put it back together - but we prefer to let functional bikes be. Having checked the drivetrain, none of the components seemed to be any worse for wear despite some cosmetic degradation, so we just cleaned them up a bit, greased everything, adjusted the brakes and shifter, and closed the whole thing back up. I will replace the chain soon just in case, but that is about it. Changing the tires on this bike was easy, and the cracked originals are now replaced with new Schwalbe Delta Cruisers. We also removed the vinyl dressguards and are replacing them with something more personalised. The snow continues today, but by the time it is over the winterised Gazelle will hopefully be ready for her test-ride. Working on this bicycle has made us both appreciate just how well it was built. I know that the current-production Gazelles differ in the way they are constructed, but I hope that they retained at least some of the ingenuity of the original design. Well done! I have to say I would find the prospect of removing the elaborate chaincase too daunting for my skills. My hat is off to the co-habitant. BTW, would you disclose your source for the Delta Cruisers? I'm having a hard time finding them in stock anywhere. Mike - Either Harris Cyclery, Calhoun Cycles, or Wallingford Bikes usually has them in stock. Nice to see how it all works. I too hope that Gazelle kept the best bits going as they went offshore. Any idea on the status of the front fork/crown/steerer? Did you do the paint touchup to see if it was a paint issue or a structural one? ho, ho, ho... you guys procrastinating with a gazelle chaincase...? - i believe you not. it is - and has always been - my favourite feature of this bike . should still be pretty much the same mechanism btw. - time tested.. and with time the fiddling, pulling and stretching will become your second nature and sometimes might visit you in some of your best dreams. all the best! step into the new year safely and joyfully! Corey - The rear triangle construction is the part that looks the most different about the new models, so I suspect many parts of the design have been altered. And I also understand that they use a battery-operated tail light now, though it might not be on all the models. Jens - The good news, is that I think we will have few occasions to remove the chaincase, since everything seems to function well. I don't think the previous owner has even repaired any flats! very well, then. - i figured that someone who mastered the art of hand-bending italian fenders would not really shy away from a dutch chaincase standard procedure. Now that I "know how to do it," removing the chaincase shouldn't be quite as difficult and frustrating as it was for the first time. I will say that it's an advanced task, though, at least on this Gazelle, so if you plan on removing the rear wheel for any reason, be prepared for anything. That probably goes for any Dutch/transport-style bike. You also have to already be somewhat familiar with how IG hubs work, or else you can get confused by the indicator chain, wheel anti-rotation washers and so on. Document things as you remove them and put them in organized piles. 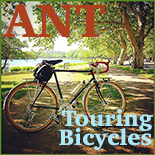 MDI - Living on the Cambridge/Somerville line, we have at least 3 bike shops walking distance from our house, and many more along the way of all the popular commute routes leading through Boston and the surrounding areas. I am sure it is the same for places like NYC, Chicago and Portland (OR). 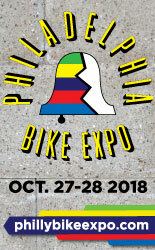 For those who live in cities, I do not see a problem with riding a bike where a tire cannot easily be changed on one's own, or with the point of view where some people may simply not wish to change their own tires. In Vienna, there is a queue in front of bike shops every morning at 8am with people needing their flats repaired - it's normal. 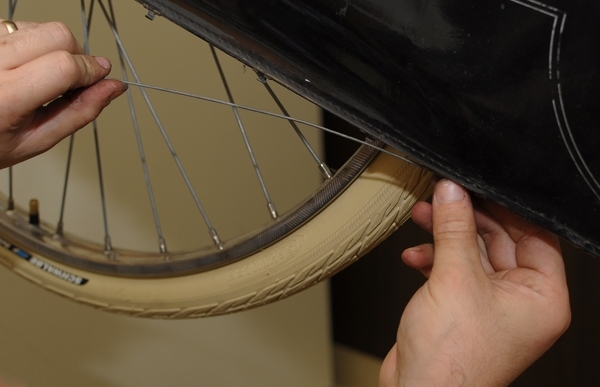 Not to mention that on city tires with puncture protection, flats are extremely rare. I also find it fascinating to take apart bicycles to find out how things function (with the exception of the planetary gears [too many springs that I'm sure I'd loose!]). I recently took a 1933/4 Raleigh completely apart for polishing and am doing the same thing currently on a 1925 model. You most likely already know this but I'd like to give your readers with full chaincases a tip for future rear tire/tube changes. It takes more or less four steps . 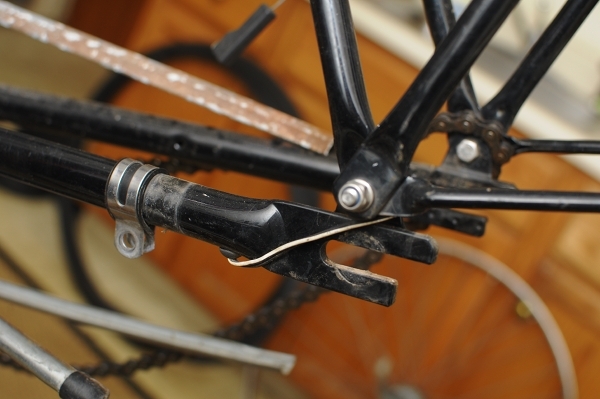 . .
What I do is first unhook the brake caliper and move it out of the way (you would also most likely have to remove the coaster brake arm from the bracket). Second I remove the left axle nut (I do not touch the right one). Third I remove the old tire and/or tube from the rim on the left side. Fourth, this part takes a bit of force, I pull on the frame so that the left drop-out clears the axle enough to slide the old tire/tube off and new ones on (it helps to also remove the lower left seat stay bolt). One small detail, hiding the new deflated tube in the tire when sliding it through keeps the tube protected from the axel and frame as it is a tight squeeze. That way the chaincase does not need to be touched, which as you now know is a lot of work! 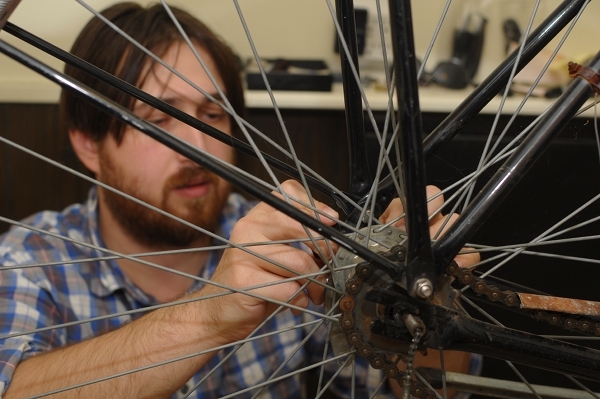 Now is a great time to check for any loose spokes. I do this about every two years finding a few that need to snugged up as I check each wheel. Spokes will work loose on every bike. Each spoke should be tight like a harp string. If not a couple of turns will bring it back into the safe range 'till next time. Andy - That could work for those who feel comfortable spreading the frame, but I don't think this method is for everyone. I for one, would not feel comfortable doing it. Walt - Yup, there was 1 loose spoke that I'd failed to notice while riding the bike all this time. Velouria : Current Toer Populair led tail lights are dynamo powered, thanks to internally routed wires, just like your bike. Actualy, they're very similar. (http://www.amsterdamer.fr/Files/15250/Img/10/change_pneumatique_arriereL.jpg) that works like a charm. Adventure! There's no need to remove the wheel to fix a flat. The tube can be accessed with the wheel in place. That's pretty straightforward actualy. philippe - I think it depends on the specific version. In the US, I have seen a dazzling variety of Toer Populairs over the past 2 years: with different brakes, different grips, different lighting systems, etc. My Workcycle Opa had the same type of chainguard until I tore it one day while removing it. The ensuing profanity was epic. I've been searching for a replacement and so far I've been unable to find a traditional (ie hollow center) metal chainguard here in the US. Velo Orange has a very cool brushed aluminum chainguard but it doesn't look right on a Dutch bike IMO. DutchBikeBits.com carries traditional Dutch bike chainguards and ships to the US. I've been toying with the idea of paying the shipping. Anyone know of a source stateside? I think bike shops may do this because it make sense to spend 5 minutes changing a rear flat instead of 1 hour, but I wouldn't want to do this to my frame. Sometimes the axle is quite wide and would require spreading the frame over an inch. Considering that these bikes have a bolted rear triangle (which can be unbolted--but that's yet more work) and are made of hi-ten steel it's probably OK, but I still wouldn't do it. Hopefully, with good tyres, the chaincase removal will only happen every few years (at which point it makes sense to grease and inspect the drivetrain anyway). Chris - I would suggest contacting a shop that sells Dutch bikes, they are bound to have a replacement! 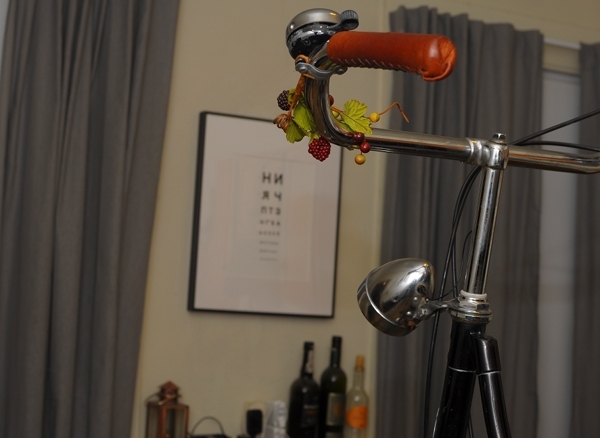 And I agree that the VO Porteur chaincase is, well, for porteur-style (French) bicycles. DavidK - The chain is not stretched at all, but has rust spots all over it. Should probably replace it, since it's been 15 years! I generally subscribe to the "put a spare tube in now, patch the punctured tube at home later" way of thinking, which is relatively easy with a road bike. But with a true city bike like a Gazelle, I probably wouldn't be! why not keep the chain and try electrolytic rust removal? I found it to be wonderful . . . The best part is that when you're done you can throw the iron rich 'waste' water in the lawn and help the plants! Adventure! Well, there are also "linear tubes". I don't know how they're called in english : Tube that are not shaped like a taurus, but as a simple, open, tube. It stays air tight once installed in the tire. 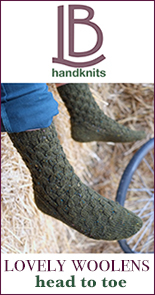 They're avalaible in France under the Hay-Way brand. 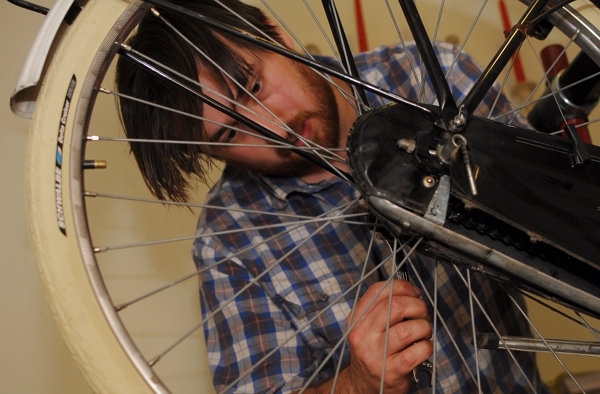 Vélib's mechanics, Paris bike share program, uses those to maintain the bikes in the street. I had a similar experience when I removed the chaincase from my Raleigh Superbe. The chain, though not new, was immaculate. And that bike was built in '54! Imagine fixing a flat on the road that required tube removal. That might not be fun. Beautiful bike, but too small for me, so it went to another happy owner. It was interestin to see the pictures of the dismantled drivetrain on your Gazelle. It is identical to my wife's 1973 Union's. Both bikes have identical vinyl chaincase mechanisms, as well, including that tensioning wire that holds the vinyl tautly stretched on the metal frame. Even the taillight wiring is identical, with the frame exit and entry points the same-- even the same grommets! Dropouts are identical, but your chain tensioners on the dropouts look newer. Same chainring, as well. Different cranks, as my wife's are cottered. Interestingly, your Gazelle is more similar in its drivetrain to her 1973 Union than to my 1986 Union, which had a more modern, modular plastic chaincase and a few other differences. That level of integration on Dutch bikes dates bake at least four decades! It still amazes me that more bike makers haven't adopted some of these approaches to total integration. Wow philippe ! ! ! Were can I buy one of these great Dutch spreaders? I'm thinking the black casing might be a bit too thick to fit in between the chaincase and frame on a Raleigh. Do you know how thick it is? I've got about 25mm clearance at the most open point (close to the rim). Andy, well, I don't know where one can find such a tool in the US... I got mine where I live, in France (Amsterdamer.fr). I don't see whythe chaincase of your raleigh can be an issue. The tool is placed from the left side, it doesn't need to fit between the frame and the case. Seeing the structure that supports one of those enveloping chaincases was fascinating, but I was even more interested in the "dish that is sort of a cross between French Toast and a Croque Monsieur - only larger, fluffier, more generous on the cheese, and with some secret herbs that make it special." Please tell us more. The first and most important step is *good ingredients*: thick rustic multigrain bread, gruyere cheese, free range eggs, Irish butter, fresh milk. Mix eggs and milk in a bowl until homogenous mixture achieved - proportions vary, to taste. Add "special herbs" - This is personal and can't really be defined; whatever herbs you feel like. Classic French stuff works well here in various combinations: thyme, rosemary, tarragon, dried lavender- experiment. Cut bread in thick ("rustic style") slices using serrated bread knife. Soak in egg mixture thoroughly, until entire slice is penetrated through and through. Fry on large frying pan using butter, not oil. Gas stove desirable. Use very low flame. Flip soaked bread slices every minute or so, so that they remain golden. The result should look "fluffy" and thick. When 90% done, place thinly sliced gruyere cheese on top of bread slices. With a spatula, quickly flip the bread over, so that cheese is on the bottom, then flip again 10 seconds later. The result will be a delicate layer of gruyere over the surface of the concoction. Sprinkle with a tiny amount of finely ground fresh chives and serve immediately, while hot. Makes for a very satisfying cold-weather meal, which seems to especially appeal to men after a day of manual work. Goes equally nicely with tea, beer and white wine. Takes about 15 minutes to prepare from start to finish, less once you've done it a few times. Did you remove the rear wheel, expecially without opening the chain? On my 1960 Gazelle I've had trouble moving the wheel far enough forward to slide the chain off, so I've opened the masterlink. The frame tool is interesting, but I'm also leery of flexing the frame that much. 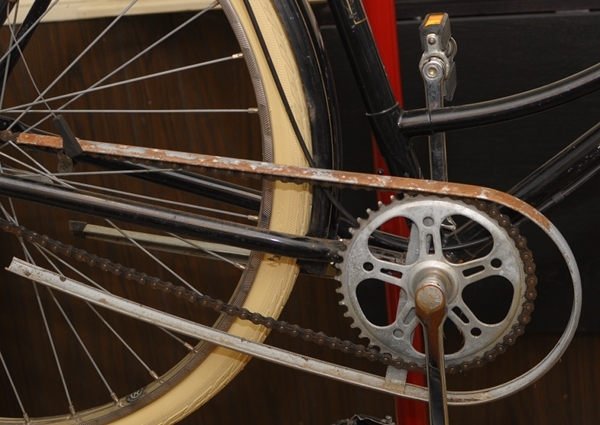 The 1960 Gazelles have chainrings with Gazelles; the man's bike has a sheet metal chaincase, while the chaincase on the woman's bike is similar to yours. Stephen--you can usually easily remove the chain even if there is very little travel by very slightly loosening it and then working it off the large chain ring by moving the chain to the side and turning the crank. Having said that, our Gazelle had plenty of travel forward to slacken the chain without resorting to trickery. It's a very well thought-out fork-end system. Not sure why yours had trouble, perhaps someone shortened the chain (or replaced it with a shorter one). I've been wondering also if I can add a link to the chain, but am waiting until I need to take the bike apart for some other reason. Your suggestion about working it off the large chain ring sounds much easier - thanks for pointing this out. As a side comment, I installed the Schwalbe Marathon tires on my Sports - it's a big improvement in reliabilty over the lightweight tires the bicycle stores seem to stock now - this was another good suggestion. Good to hear. I am a big fan of Marathon Plus (slightly more resistant but also less fun to ride version of Marathon) and just the other day I was cycling along a melted snowbank when my front wheel started making knocking sounds like a stuck pebble in a car tread. Long story short, it was a huge sheet metal screw that pierced the rubber but fortunately was stopped by the puncture-resistant layer. So, happy about that, hope I don't jinx myself now. 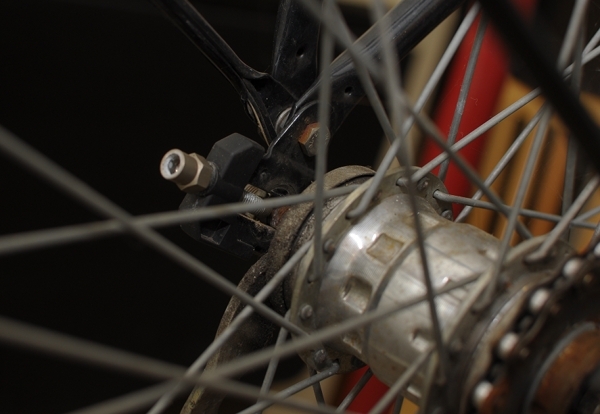 do you think it would be possible to change the rear coaster brake to a drum brake? I am looking at getting one of these, but really don't think i would get on with a coaster brake. I love the look of the new rod activated drum brakes too, but the build on the A-touren just has something a little more special. Yes I do want the best of both worlds.